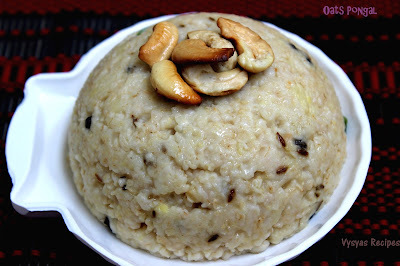 Oats Pongal is a healthy and filling breakfast Recipe.Oats are diabetes-friendly.It is an alternative for gluten free diet. Oatmeal is high in fiber, which is heart-healthy & make you feel fuller for a longer period of time.I learned this recipe from my cousin Radha. it came out well. 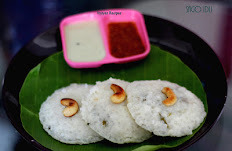 Now we learn the steps to make healthy and filling Pongal Recipe. Moong dal - 3 tbsp. Cashews - 5 - 6. Cook the Moongdal, with 1/2 cup of water, & a pinch of turmeric. ( Make sure that water soaks completely in moongdal).you can pressure cook it for 3 whistles or you can cook in kadai, with needed water till it turns soft and mushy. Dry Roast the oats in a pan, till it lightly changes the color and also you get nice smell of oats. Take 2 cup of water in a pan, when it starts boiling add oats, cook in a medium flame till oats is cooked. 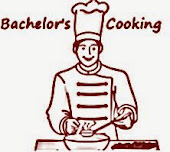 it takes 2 -3 minutes to cook. 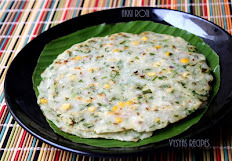 When the water is almost absorbed, add cooked moongdal mix well.stir till,till water is completly absorbed and it reached pongal consistency.Add salt give a quick stir. In a mean time fry the cashews in a ghee till it turns golden. Then remove the cashews from pan, and add cumin seeds, pepper corns, curryleaves ,chopped ginger, in one go. 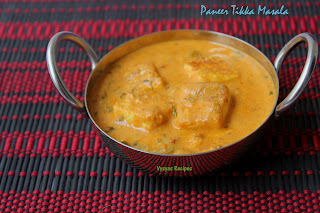 Saute for few seconds till you get, nice aroma, then switch off the flame.Then pour the tadka over pongal. Garnish with cashews. 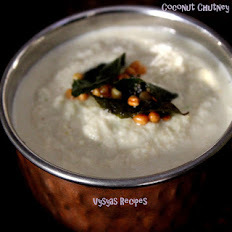 Serve hot with chutney or sambar. you can also crush the cumin seeds and pepper corns coarsely. Wow!! This is so healthy an guilt free! !